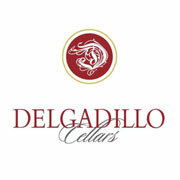 We have big news from the incredible people at Delgadillo Cellars! They are discounting their 2003 and 2004 vintages $10, and donating 20% of their sales to the Drink Careers 101 using the code “DRINK101.” Delgadillo Cellars is a small production winery that only produces around 150 cases annually. Each vintage of Napa Valley Cabernet Sauvignon is painstakingly aged for around 6 years; 20 months in the barrel, and 5 years in the bottle, ensuring the wine is perfect upon release. Those of you who have tasted wine from Delgadillo Cellars know just how awesome this deal is, so take advantage of it before it is over and back our Kickstarter project! Cori Page and Matt Williamson are the dynamic duo behind “Under My Host” a fantastic podcast focusing on small production wine, beer and spirits makers. We are pretty big fans of the show and are excited to share this clip from a recent interview. Cori also holds the distinction of serving on the Drink Careers 101 Project Advisory Board, and as such she has brilliantly started putting together a series of short conversations with her guests about their journey and experiences working in the beverage industry. In this clip, Cori interviews Marty Nachel, author of Brewing For Dummies and Home Brewing For Dummies. Marty is also a certified beer judge and the founder of BeerExam.com. Listen to Marty discuss how he got started in the craft beer industry. If you haven’t heard of “Under My Host” yet, it is high time you did. Host Cori Paige and her trusty Producer Matt Williamson put together fantastic shows featuring small production wine, beer and spirits makers. In this clip, Cori interviews Drew Fox of 18th Street Brewery in Gary, IN. They discuss his life as a brewer so-far and his experience with the Kickstarter campaign for the 18th Street Taproom. Pre-order your Drink Careers 101 Guide today on Kickstarter! 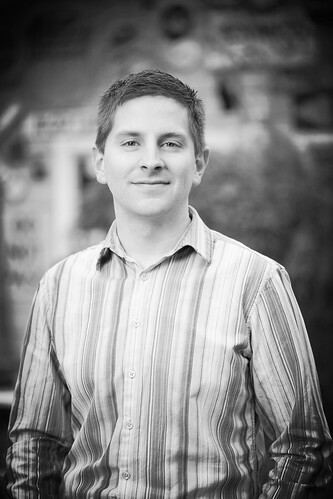 During his career at Hahn Family Wines Joshua Cairns has risen from file clerk to the Director of Marketing. He has studied the business from all angles over the last decade and found his niche. His story is a classic example of the hard work and dedication it takes to make it in the beverage industry. We are proud to have Joshua, his wisdom and experiences as a part of the Drink Careers 101 Project Advisory Board. How did you get your start in the wine industry? Having grown up in Napa, I’d been around wine for a while. While attending UC Berkeley, I was working my way towards becoming a paralegal for a firm in San Francisco. The world of law didn’t seem to fit so when I discovered that a friend from Napa had just started a small sales & marketing company, I asked if they had any open positions. The Monday after graduation, I started at Wimbledon Wine Company (now Hahn Family Wines) as a file clerk and assistant. What did it take to work your way into the position of Director of Marketing? A lot of filing! Also, a fair bit of perseverance, and the willingness to learn. My degree from Cal is in classical history, which as you might imagine, left a lot to be learned. Since I grew up in the Napa Valley, I knew names of wineries and people in the industry but very little about how the wine business actually works on a day-to-day basis. In the last decade, I’ve progressed from file clerk through just about every position in marketing and admin at Hahn Family Wines — accounts payable, accounts receivable, collections, order entry, inventory, warehousing, ecommerce and online marketing. But, I am lucky enough to work for a company that helped me learn through doing and not just reading or observing. Taking any opportunity I could to pick up a new skill or bit of knowledge, I discovered that marketing is was I wanted to be doing and that I wanted to keep doing it in the wine industry. I think it was this practical use of that same range of skills and knowledge I’d acquired over the last 10 years that helped gain me the promotion to Director of Marketing. What is your favorite aspect of working in the wine industry? Well, if I’m being totally honest, I like eating and drinking! You can’t help but like that part of things in this business. But, what I really enjoy about it is the opportunity to constantly meet new people within the industry; it’s a small enough world that everyone is willing to share their knowledge and their passions. Meeting people across all segments of the wine world allows me to adapt their insight to not only my position as Director of Marketing but to other facets of Hahn Family Wines as well. Being a family-owned winery, we’re allowed the chance to wear a few hats at once so job descriptions often evolve over time to include the information you pick up along the way from wine compatriots. What are some of the challenges you face with wine marketing? One of the main challenges is definitely the slower pace of change in the wine industry as compared to some others. In order to keep up with the flow of technology and ideas going on in the wider world, we have to look at what companies outside the industry are doing. It’s for that reason that I try to attend at least one tech conference annually that has nothing to do with wine. Bringing some of those ideas back to HFW with me helps make us a cutting edge winery that hopefully increases that pace of change just a little bit. Is there anything exciting going on at Hahn right now that our readers should know about? For the first time in 16 years, we have a new winery president. While many of the best parts of Hahn will remain, having someone new at the top allows us to reassess what we are doing and why we’re doing it. This has already resulted in some new and exciting changes at Hahn that we’ll be rolling out soon so stay tuned! If you could give one piece of advice to a student considering a career in wine marketing what would it be? Don’t turn down any work or learning opportunities, no matter how small you might consider them to be. You never know when working hard as the file clerk or marketing assistant will yield that big next step in your career. Follow Hahn Family Wines on Twitter and Facebook! Beverage Kickstarter Spotlight: RX Bitters Co.
As you may know Mutineer Magazine is running a Kickstarter project right now, and we have been fortunate enough to learn about some cool beverage related projects at the same time. We discovered RX Bitters Co. when co-owner Brett Winfield backed Drink Careers 101. I checked out their project and found that he and his partners Ryan and Eric had some tasty ideas about cocktails. Their bitters come in Sarsaparilla, Cherry Apple and Aromatic #7. I know I am looking forward to receiving my bottle of Sarsaparilla bitters. The RX Bitters Co. has already reached their goal, but they still need to hit their stretch goals. If they hit $12,000 they will put Smoked Peach, Smoked Pineapple and Smoked Apple into production. If they reach $15,000 they will put Whiskey and Wine Barrel Aged Bitters into production. I think that sounds like a tasty incentive. Add The Rx Bitters Co. Sarsaparilla Bitters to the sugar cube in an old fashioned glass and muddle to a fine paste. Add the Auchentoshan Classic and ice, preferably large cubes, stir for five seconds, Garnish with an orange and lemon peel and you are good to go. Want to secure your Drink Careers 101 Guide? Pre-order it on Kickstarter! Publisher and author Chelsea Prince is a woman driven by a love of the written word that began at the age of 4. Since then, Chelsea has attended Syracuse, working for The Daily Orange Newspaper, founded InternCircle.com, worked at Women’s Wear Daily, InsideFacebook, and now her very own Chelsea Print and Publishing. Most recently she penned and published Rock and Vine, a look at the next generation in the California wine business. 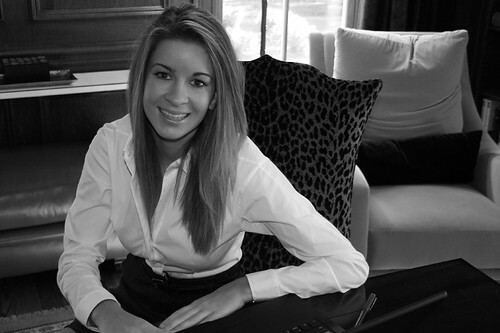 Chelsea is a driven individual looking to shape the Millennial generation of Publishing. We are proud to present Chelsea Prince to you as a Drink Careers 101 Advisory Board member. What was your path into the publishing industry? Publishing has always been my career target, so I shot a quiver-full of arrows everywhere I could. I worked on the editorial side and publishing side, I tried editing versus writing. I worked for traditional “big name” print publications and startup online publications. Whatever I could get my hands on, I grabbed. Internships were an extremely important part of building my career path, particularly because I developed a social media start-up, InternCircle.com, which was a virtual portal to the internship world. Although I enjoyed conceptualizing, managing and writing all of the editorial for the company, I found that the medium itself wasn’t compelling to me. I don’t love the Internet like I love books. I read my first chapter book (Charlie and the Chocolate Factory) when I was four, and have read an entire book almost every night since. It became obvious to me that books were my calling, and I founded Chelsea Print & Publishing. The company, which produces beautiful “readable” coffee table books, provides an intersection between art, philanthropy and storytelling. So far, we’ve published Snowcial and Rock and Vine: Next Generation Changemakers in America’s Wine Country. What were the steps you took to prepare yourself for your career? I took a relatively straightforward approach to publishing; I studied it. I knew I wanted to work in publishing so I pursued a major in magazine journalism and European history at Syracuse University’s S.I. Newhouse School of Public Communications. When I wasn’t running around writing articles for class, I was at The Daily Orange campus newspaper chasing leads and managing more than 250 writers. What inspired you to write Rock and Vine? There are many factors that contributed to the inspiration (I’ve been to global seminars about “generational” topics for years now), but I was particularly drawn to the three-fold story that comes with wine. There are three stories in one bottle of wine: the story of the wine itself, the story of the winemaker and the consumer’s story. There are many wine books out there, but I saw that there was a wine story yet to be told: the next generation. How will the next generation perpetuate and evolve the story of Napa and Sonoma? That’s Rock and Vine. What was the most challenging aspect of writing and researching your book? Most books take years to write, but I took 6 months from start-to-print. It was beyond challenging, but it was necessary. The purpose was to bring a moment in time to readers, a moment where the next generation is at a tipping point and about to take the reigns in the wine industry. There were weeks of 20-hour days, but fortunately I could turn to the consultation of Christy Canterbury, Master of Wine, and many others for interviews and insight. What was your favorite aspect of writing Rock and Vine? My favorite aspect is the intimacy that comes with knowing and completely throwing oneself into a subject. From writing Rock and Vine, I now know one small part of this big world that much better. What advice would you give college students considering a career working in publishing? I once heard a quote that reads something along the lines of “make a career of what you do in your free time,” and I encourage everyone to stick to that. It’s incredibly fulfilling to do what you’re naturally inclined to do, and you’ll be much more successful if you have passion. Passion gives you the grit to push through the hard days. There’s a feature story of Christina Turley of Turley Wine Cellars in Rock and Vine, who has taken this advice to heart. A couple years after college, Christina left a lucrative career at an art gallery after realizing that she spent all of her free time reading food and wine blogs, planning menus for gallery events and thinking about restaurants. She decided to learn the ropes as a sommelier in Manhattan from the ground-up, and now works as the Sales and Marketing Director for Turley Wine Cellars. Follow Chelsea Prince here on Twitter. Pre-order Drink Careers 101 here on Kickstarter. We are extremely pumped to have Monique Soltani of WineOh.tv involved as a Project Advisory Board member for Drink Careers 101. Monique has built on her broadcast journalism background to quickly establish herself within the wine/video scene. WineOh.tv was honored last year for the “Best Original Video or Photography on a Wine Blog” at the Wine Blog Awards, hosted by yours truly, and she’s become a fixture at all of the coolest Bay Area wine events as she reports and interviews on-location. Being that video is Monique’s medium of choice, we thought it only appropriate to conduct her Drink Careers 101 interview on camera, which we did on-location at the Culinary Institute of America Greystone during Premiere Napa Valley. Pre-order the Drink Careers 101 Guide on Kickstarter now! We’ve become big fans of “Under My Host” since being introduced to it a couple months back. Host Cori Paige and her trusty Producer Matt Williamson do a great job curating conversations with some very cool, small production wine, beer and spirits makers. In this clip, Cori riffs with Guest Host Patrick Donagher of GetRealPresents.com about his experience launching his craft beer / local food events company in 2011. Patrick is also co-owner of Alewife NYC, a beer-centric gastropub located in Long Island City. PLEASE SUPPORT OUR DRINK CAREERS 101 KICKSTARTER CAMPAIGN! EVERY CONTRIBUTION HELPS!